If you own a property and want to sell it, you should first take note of the things that need to be improved in order to increase the value of your property. Whether you are an amateur home seller, or even a tenured one, you should at least know the basic aspects of your home that you can improve in order to get more offer and increased sale value. To help you achieve such a goal, we have outlined below some of the home components and areas that may need improvement, whether drastic or simple improvements. Perhaps the most obvious or noticeable aspect of your property is the roof. When it comes to selling your property, you should never make a mistake of selling your home or any other property without inspecting your roof. For a buyer, the roof is a critical aspect of a property, which is why they would definitely take time to inspect or check it for some issues. As a seller, it is, therefore, your duty to keep your roofing system at its best. This does not only mean that your roof should be aesthetically pleasing. For according to one of the best roofers here in Hanover, Massachusetts, the Marine Home Improvement, Inc., the value of your roof is determined not only by its appearance but also of its materials and functionality. That is why, before you start selling your property, you should have your roofing system checked, and perform the necessary improvements when needed. 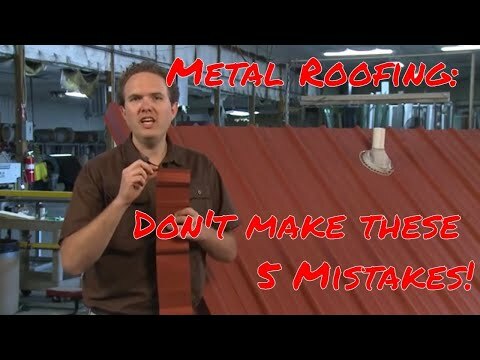 When it comes to roof improvements, you should not simply trust anyone. You should look for a reliable roofing company that can help you with any roofing needs or requirements you may have. A roof improvement may entail roof repair, roof replacement, or even roof restoration. That way you should be sure that your chosen contractor can do it all. Another point for improvement on your property is the cleanliness. Make sure that before a visitor will make its trip to your home, you should have already clean your front and backyard. Try to trim down the trees near your property and remove any debris it might have caused, especially on your roofing system. A tree branch, leaves, and other debris can be an eyesore to any onlookers. If you are planning to sell your property, then you should clean it well as to improve its beauty. Another aspect for home improvement is the bathroom. There are many things you may do in order to improve the value of your property, and this may also include the improvement of your bathroom. Even if you can afford major remodeling, simple improvements will surely have huge impact. This may include replacing dated wallpaper and even adding some artwork inside the bathroom, which will also be helpful in covering some cracks and wall blemishes. Improving your kitchen is one of the highly effective methods to increase the value of your property. However, this act could make or break your pursuit of a successful sale, which is why it is highly suggested that you should only trust a reputable property improvement contractor to deal with your kitchen improvement needs. If you have some carpet or rugs inside your home, make sure that that they are at their best condition. You don’t want a visitor staring at a dirty carpet or rugs inside right? That is why you should make this simple home improvement tip a priority. There is no need for you to buy a new carpet if the old ones are capable of being cleaned. Apart from spending some cash for repairs and replacements, you may also improve the appearance of your property by simply organizing things. This means that clutters inside your house should be avoided. By the time visitors or potential buyers arrive your home, the toys of the kids, the magazines, and even the picture frames are properly organized. Those are some of the minor changes you may perform to help organize your home. In order help you with the improvement of your property, you should consult experts from various fields. When it comes to your roofing system, you should only deal with a legit roofing company that operates with insurance, accreditation, and license. This will help you avoid costly errors due to a back job and poorly done roofing services. You need to understand that apart from property value improvement, your roof also plays a critical role in the safety and convenience of your personal and valuable. For that matter, only trust a reputable roofing contractor to help you with your roof improvement projects, and even other home exterior components such as the siding, decking, windows, and even gutters.